I have pretty simple geometry. And Blender can't unfold it in UV correctly. 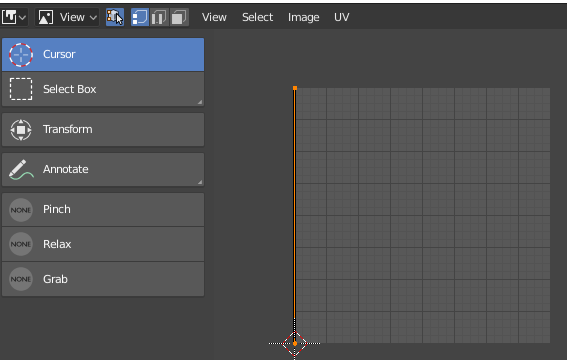 If I understand correctly, this seems to be a selection/syncing problem of the UVEditor not selecting all UVs even if all are faces/verts are selected in the 3D view edit mode. 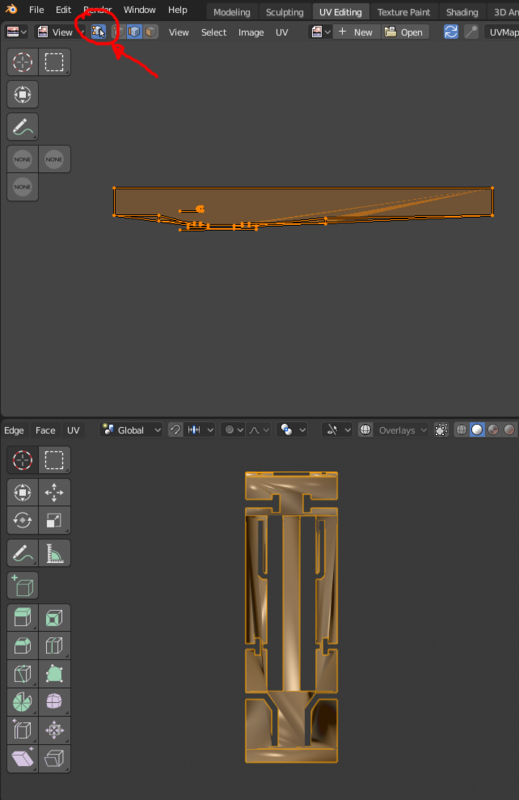 Unwrap itself seems to go fine if you go the extra mile and make sure you have all UVs really selected. As of 3a1e9b9997e33c059d08138da707ac16490fddf7, UV selection syncing issues should be fixed. I tried to redo the bug in 60d4d583760 and wasn't able to (changing settings always updates). So as long as the Keep UV and edit mode selection in sync is turned on it should work well and unwrap should go fine. Dalai Felinto (dfelinto) added a subscriber: Dalai Felinto (dfelinto). I remember running into something similar. It was as if uv unwrap wouldn’t re-run if I already had a UV. I reopened but I‘m yet to test the file and its reproduction steps, but the video matches what I ran into before. I will claim it, but @Philipp Oeser (lichtwerk) feel free to tackle it. All works fine for now. Thank you guys! You all doing great job!